Tucked away within a neighbourhood in Bangsar is an appealing white and blue restaurant, standing out at the end of the shop lots along Lorong Maarof. A Mediterranean restaurant, Kasbah, serves North African specialities, including Moroccan cuisine. In fact, the blue and white colours of their interior décor take influence from Mediterranean cities, where each city is a different shade of blue, inevitably making you think of a holiday by the beach! It’s a very nice ambiance and an encouraging sign for the meal ahead. 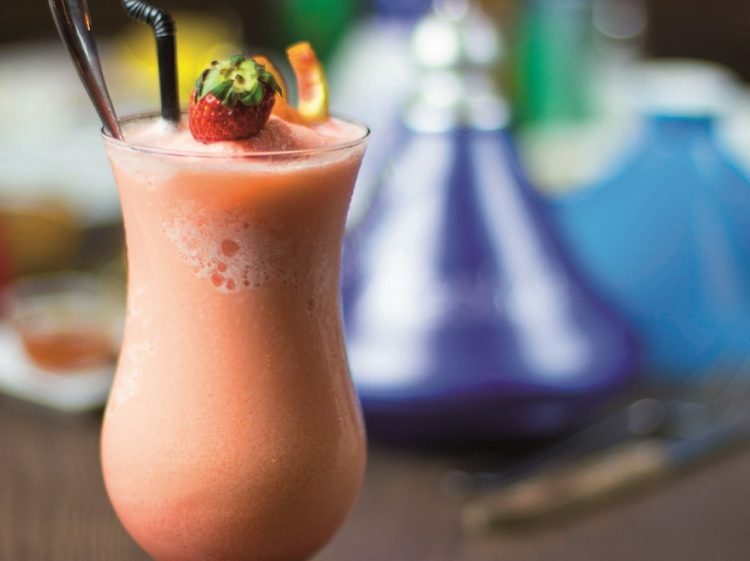 As we perused the inviting menu, we enjoyed the refreshing Moroccan Smoothie (RM16) made with a splash of rose water, bringing out a uniquely enjoyable underlying flavour. Not too sweet, it was a perfect thirst quencher. 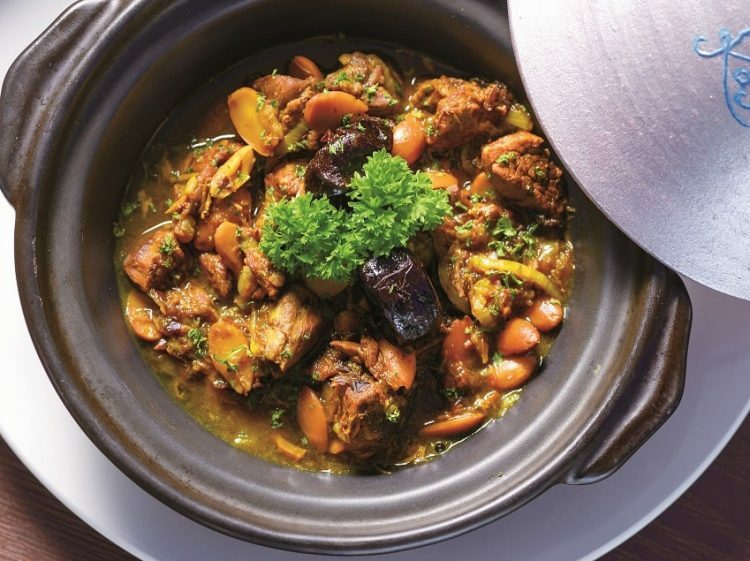 For starters, we savoured the Harira Soup (RM16), an authentic Moroccan soup made using lamb and Mediterranean spices, setting the stage for a spice-filled journey into Mediterranean cuisine. Another of the traditional Moroccan spices, called ras el hanout, is present in some of the foods, which is typically found in most Moroccan households, inevitably adding a winsome, addictively homecooked taste to the dishes. 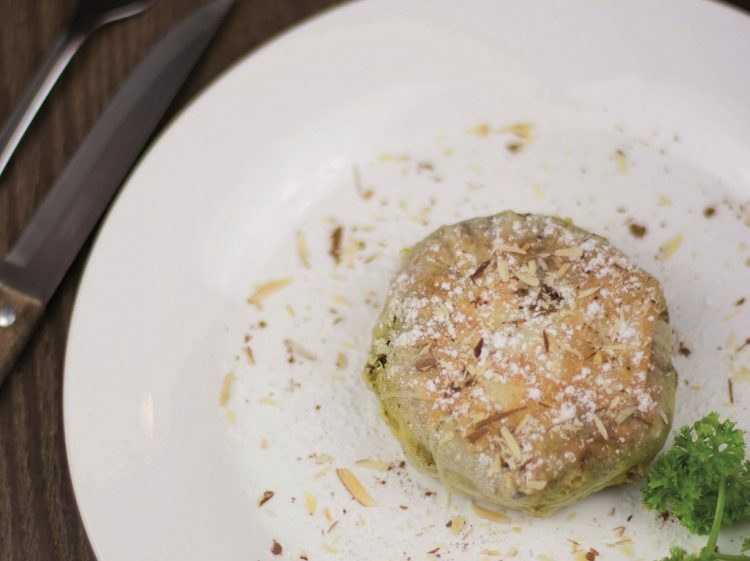 The dish that really won over our palates is also one of their best-sellers, the Pastilla (RM16), a Moroccan pie with chicken, almond, honey, and cinnamon wrapped in flaky layers of filo pastry. We loved the unusual sweet-savoury pairing in this dish, finding it wonderfully tasty, as the two flavours not only balanced the dish, but also complemented the other ingredients. In Morocco, the Pastilla is sometimes served as a dessert, even though it has chicken in it, due to the sweet nature of the dish. Moving on to the main course, we savoured home-style Mediterranean fare, starting off with the Kefta Lamb Tajine (RM30) and Lamb Tajine (RM42). 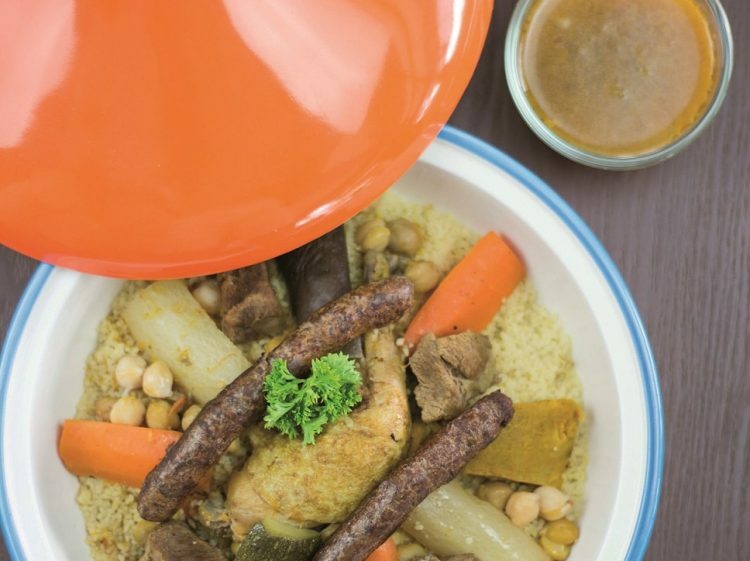 Tajine is a slow-cooked, savoury stew typically made with meat, vegetables, spices, and/or dried nuts, resulting in tender pieces of meat that melts in your mouth. The Lamb Tajine was fall-off-the-bone tender, juicy, and bursting with flavours and spices. It goes well with a side of Harissa Sauce, home-made from a variety of hot chili peppers, spices, and herbs, if you like a little spice in your food. A word of caution, eat it sparingly, as a drop of this is sure to light up your tongue! Made fresh at Kasbah, they also sell it in jars for you to take home and enjoy. 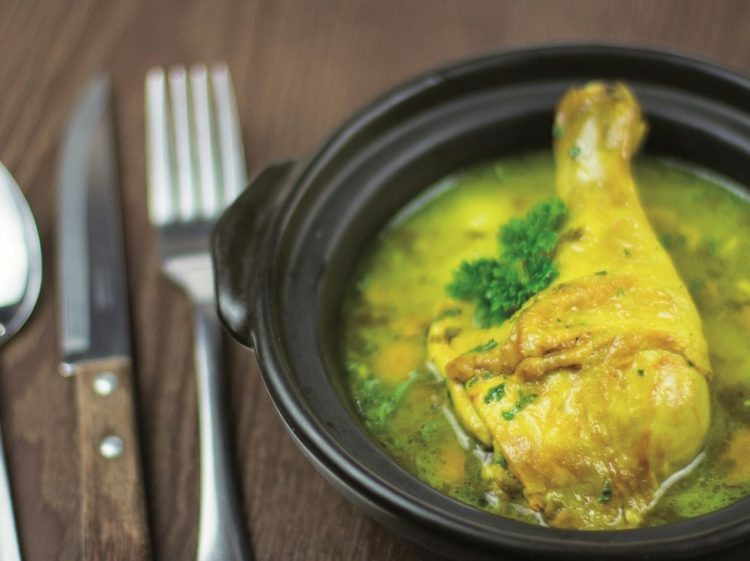 Another Kasbah speciality is the Chicken Lemon Confit Tajine (RM27). What’s special is the use of lemon confit, where the lemon is kept for two months to let the juice come out naturally, before it is used in the dish. Rich and succulent, the chicken was perfectly cooked, while the lemon confit’s tangy gravy was pleasantly refreshing. It also brought forward a different and less spice-filled representation of Mediterranean cooking. as a solo portion for RM50.) Merguez is a North African sausage made of lamb or beef, heavily spiced with cumin, harissa, and chilli pepper. Mouths watering yet? Ours were, too! 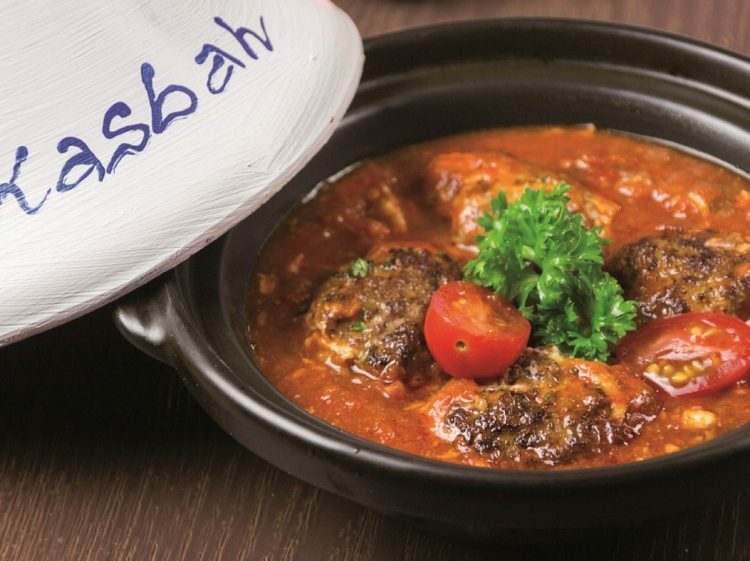 If you’ve not tried Mediterranean food or if you love it and are craving a good fix, come get acquainted with the appealing flavours at Kasbah Bangsar, guaranteed to get you hooked. Find: View directory for Kasbah here.